Progress in the South China Sea dispute? Not really. China’s cooperation with ASEAN for a code of conduct is a stalling tactic—and it’s working. Foreign ministers from China and the ten member nations of ASEAN will convene in Manila this week to discuss committing to a framework for a South China Sea Code of Conduct. – Beijing may endorse a framework for a South China Sea Code of Conduct to present an image of cooperation and minimise the chance of foreign interference in its territorial disputes with ASEAN claimant states ahead of the 19th party congress in Autumn. – A framework, even if endorsed by all ASEAN states and China, will not bring the parties much closer to a substantive Code of Conduct. – The Philippines chairmanship of ASEAN will help China avoid sanction from the bloc as it continues to develop its man-made islands in the South China Sea. – ASEAN states will continue to take unilateral steps to safeguard their maritime claims against Chinese encroachment. On August 6, ministerial representatives from China and the ten nations of ASEAN will formally consider committing to a draft framework for a Code of Conduct (COC) that will regulate territorial disputes in the South China Sea. The framework, while only containing elements of what may ultimately be a set of rules governing actions in the region, has been touted by observers as steady progress toward easing tensions. China’s formal commitment to this draft framework will be received by ASEAN nations as a signal that Beijing is committed to cooperation rather than confrontation in the contested South China Sea. But as North Korea has occupied the attention of Washington, China has been content to quietly strengthen its bid for control over the region, primarily through continued development of its man-made islands. While commitment to a framework for a COC may reduce the likelihood of escalation, adherence to a binding set of rules governing conduct is ultimately not compatible with Beijing’s vision for the area. ASEAN nations have long viewed a COC as a way to manage competing territorial claims in the South China Sea, but progress toward a binding pact that includes all ASEAN member states and China has been slow. A COC was first suggested at a meeting of ASEAN foreign ministers in 1996. But it was not until 2002 that China agreed to a non-binding Declaration of Conduct (DOC) that committed each party to work toward the eventual attainment of a more formalised COC. Negotiations have progressed only gradually since then. In July 2011, ASEAN states and China agreed to ‘guidelines for the implementation of the DOC’. This was followed by negotiations to establish a mechanism to monitor the COC’s implementation which culminated in the draft framework in May this year. China’s assertiveness in the South China Sea has been the primary driving force behind ASEAN’s push for a COC. 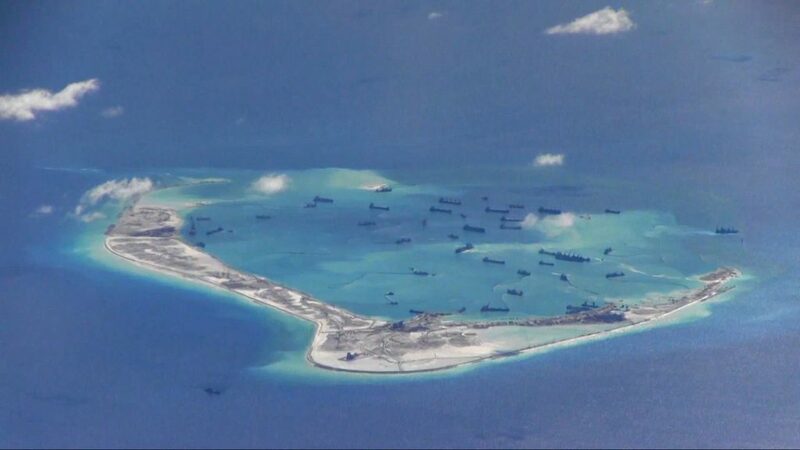 Beijing claims sovereignty over a vast swath of the South China Sea, demarcated by a nine-dash line. It has been pursuing its claims through actions described as ‘salami slicing’. In Beijing’s view, incrementally building a routine presence in the region, particularly near disputed features, enhances the legal basis for its claims and works toward eventual settlement in its favour. Central to this strategy is the gradual militarisation of reclaimed land that aims to establish permanent zones of Chinese military authority in contested areas. For the most part, Beijing’s assertion of sovereignty has been tactically non-threatening. Coast guard vessels and a ‘maritime militia’ of civilian vessels have been the preferred means of enforcing maritime claims. This is a calculated way for China to advance its interests while minimising the risk of escalation. China has also been pursuing other means of enforcement. In February, China’s Legislative Affairs Office of the State Council announced it would consider revising its maritime ‘safety traffic’ laws to restrict the navigation of foreign vessels in Chinese waters. Among other things, these changes would require foreign submarines to remain surfaced while travelling through Chinese territorial waters. China would not enforce these rules immediately. Indeed, the country has done little to enforce a similar Air Defense Identification Zone established over the East China Sea in 2013. However, the establishment of these zones of legal and military authority will help Beijing justify the shift toward military enforcement of its claims in the future. This considered, a restrictive and binding COC would hinder China’s ability to defend its maritime claims in any way it sees fit. While a restrictive COC is ultimately not in China’s long-term interests, Beijing is likely to endorse the draft framework at this week’s ministerial forum in Manila for two reasons. First, China wants to be seen as cooperative. 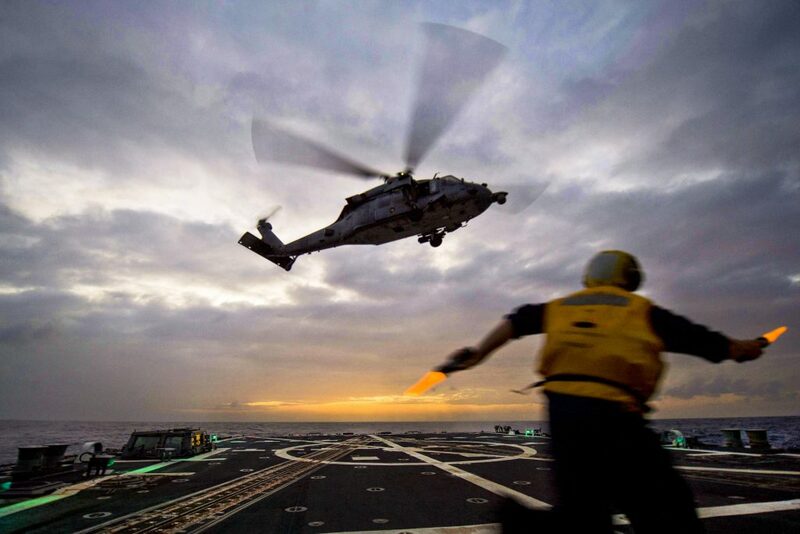 Overt intransigence on this issue, particularly following a prolonged period of relative calm in the region, would give foreign powers like the US and Japan an excuse to intervene. Presenting an image of cooperation and avoiding foreign interference are priorities for Beijing, particularly as it becomes preoccupied with the upcoming 19th Party Congress. Second, approving the draft framework will not bring the parties much closer to a substantive COC. As several analysts have observed, there are basic gaps that need to be bridged before a COC can come into effect, including uncertainty over who signs the agreement and its geographic scope. It is also unclear whether a COC would be legally binding. Furthermore, Beijing will likely drag out negotiations indefinitely or at least until it can persuade ASEAN states to agree to a COC that will not be problematic for its strategic goals in the region. That the Philippines currently chairs ASEAN is good news for China. Rodrigo Duterte’s presidency has seen Manila downplay the South China Sea issue in an effort to build closer relations with Beijing, a strategy that will likely persist in ASEAN’s multilateral setting. As ASEAN is driven by consensus, This will help China avoid any significant regional push-back as it continues its development of land features in the Spratly Islands. But continued improvement in relations between China and the Philippines is by no means guaranteed. Manila plans to resume drilling for oil and gas on the Reed Bank—a resource rich shoal that falls within China’s claims—by the end of the year. Beijing will have to hold back objections if it is to maintain a warm relationship with Manila and thus benefit from a muted ASEAN. However, even after Beijing approves the framework, tensions will continue to simmer. Despite the agreement in May, ASEAN states have shown no sign of softening their positions or bending to Chinese pressure. In June, a scheduled meeting between Chinese and Vietnamese defence officials was cancelled reportedly due to disagreements over the South China Sea. Further, in a firm rejection of Chinese maritime claims, last month Indonesia renamed the far southern end of the South China Sea as the ‘North Natuna Sea’. Named after Indonesia’s northernmost island group, the redesignation is an effort by Jakarta to entrench its claim over the area where its exclusive economic zone and China’s nine-dash line overlap. 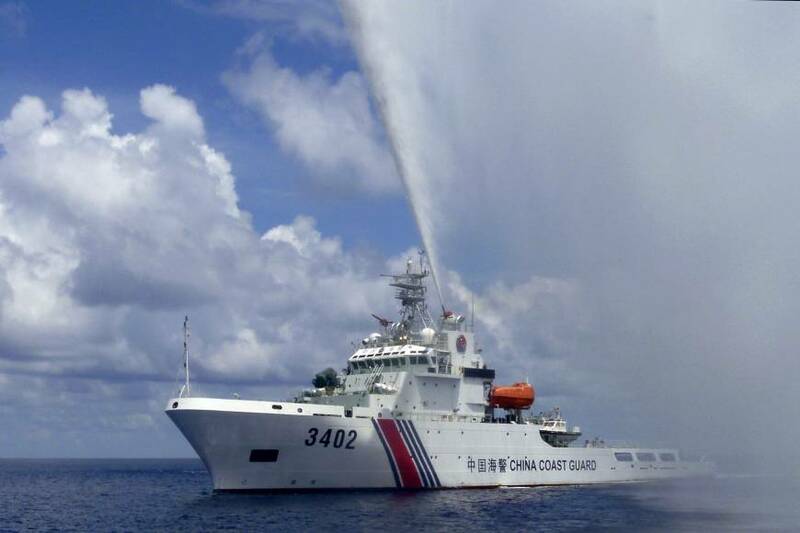 This pattern of behaviour is unlikely to subside as ASEAN states will continue to take unilateral steps to safeguard their maritime claims against Chinese encroachment. While small steps toward a COC are being made, enduring détente in the South China Sea seems as far off as ever.